Accurate prediction of triplet excitation energies for transition metal complexes has proven to be a difficult task when confronted with a variety of metal centers and ligand types. Specifically, phosphorescent transition metal light emitters, typically based on iridium or platinum, often give calculated results of varying accuracy when compared to experimentally determined T1 emission values. Developing a computational protocol for reliably calculating OLED emission energies will allow for the prediction of a complex’s color prior to synthesis, saving time and resources in the laboratory. 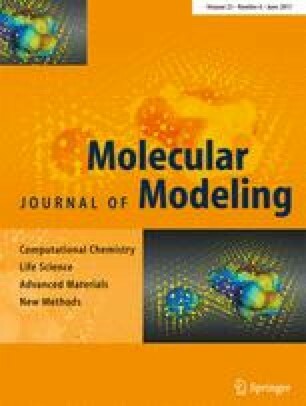 A comprehensive investigation into the dependence of the DFT functional, basis set, and solvent model is presented here, with the aim of identifying an accurate method while remaining computationally cost-effective. A protocol that uses TD-DFT excitation energies on ground-state geometries was used to predict triplet emission values of 34 experimentally characterized complexes, using a combination of gas phase B3LYP/LANL2dz for optimization and B3LYP/CEP-31G/PCM(THF) for excitation energies. Results show excellent correlation with experimental emission values of iridium and platinum complexes for a wide range of emission energies. The set of complexes tested includes neutral and charged complexes, as well as a variety of different ligand types. The online version of this article (doi: 10.1007/s00894-017-3348-2) contains supplementary material, which is available to authorized users. This work was supported by the Research Council of Norway (Grant No. 231706/F20 and No. 179568/V30), and from the Norwegian supercomputing program NOTUR (Grant No. NN4654K and NN93330K). ESM 1 (DOCX 186 kb). ESM 2 (XYZ 99 kb).